Percy Mitchell. The American Relief Clearing House. 1922. Appendices 3-4. First Balance Sheet: Nov. 26.1914 to Dec. 31.1915. We have examined the above Balance Sheet, dated 31st December, 1915, together with the attached Income and Expenditure Account for the period from 26th November, 1914 to 31st December, 1915, with the Books and Vouchers of the Clearing House, and find the same to be in accordance therewith. The Cash Balances have been verified by us. DELOITTE, PLENDER, GRIFTITHS & Co., Hon. Auditors. M. P. PEIXOTTO, Comptroller. CHARLES R. SCOTT, Hon. Secretary. J. RIDGELEY CARTER, Treasurer. Underclothing, Pyjamas, Shirts, Vests, Socks, Slippers. Artificial Limbs, X Ray Apparatus, &c.
Surgical Instruments and Hospital Supplies. .
797,136 72 Underclothing, Pyjamas, Shirts, Vests, Socks, &c.
. , Soldiers on leave, Tobacco, Games, &c.
Purchase and Hire of Furniture, Typewriters, &c.
Proceeds of sale Peugeot Motor Truck. 1,700 00 New Pierce Arrow "
We have examined the above Balance Sheet, dated 30th June, 1916, together with the attached Income and Expenditure Account for the six months ended 30th June, 1916, with the Books and Vouchers of the Clearing House, and find the same to be in accordance therewith. The Cash Balances have been verified by us. Clothing, Underclothing, Pyjamas, Shirts, Vests, Socks, Slippers, &c.
Objects for Exercise, Recreation and Education of Convalescents,Eclopés, &c.
1,214,662 36 SPECIAL RELIEF GIVEN IN FRANCE. 1,651,173 11 Underclothing, Pyjamas, Shirts, Vests, Socks, &c.
Beds, Bedding, Towels, Dusters,Handkerchiefs, &c.
Objects of Recreation, Exercise and Education for Convalescents and Eclopés. . Farmers' Implements, Carpenters Tools, &c.
Association In Infirmières Visiteuses de France, which visits, distributes food and attends to sufferers from Tuberculosis cases at their houses. Cash Contributions to Hospitals, &c.
U. S. Consul General at Athens. Motor Truck Service (Refugees Relief Fund Contributions). PURCHASE OF PIERCE ARROW CHASSIS: Donation received. per contra. 5,881 38 Printing, Postages, Advertising, Cinematograph, &c.
Purchase and Hire of Furniture, Typewriter, &c.
Third Balance Sheet. July 1. 1916 to December 31. 1916. 20,000 00 Pierce Arrow " "
27,518 60 Estimated value. .
We have examined the above Balance Sheet, dated 31st December, 1916, together with the attached Income and Expenditure Account for the six months ended 31st December, 1916, with the Books and Vouchers of the Clearing House, and find the same to be in accordance therewith. The Cash Balances have been verified by us. 1,651,173 11 Beds, Bedding, Towels, Dusters, Handkerchiefs, &c.
Hospital Supplies, including Medicines, Instruments, Apparatus, &c.
Objects for Exercise, Recreation and Education of Convalescents, Eclopés, &c.
CASH DONATIONS TO SOCIETIES IN FRANCE. Mutualité Maternelle, Versailles and St. Germain Pré. uvre de l'Art et de la Femme. Objects for Exercise for Crews of Tank Cars. . Per Account to 30th June, 1916. 2,554,119 32 Per Account to 30th June, 1916. 5. Maintenance 5. Maintenance Expenses. 1,000 00 Purchase and Hire of Furniture, Typewriters, &c.
Compiled by C. C. SISCO. 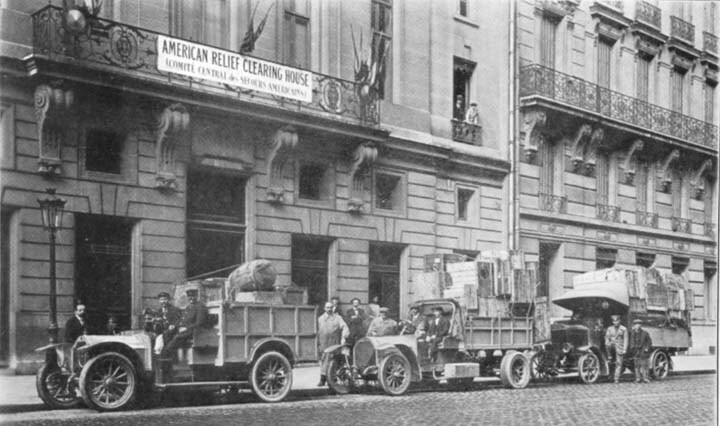 On July 1, 1917, the American Relief Clearing House turned over to the American Red Cross its entire working organization, including trained personnel, equipment, warehouses and all stocks of supplies (estimated value Fcs. 2,300,000). Credit was given on the books of the American Red Cross as for a Cash Contribution of One Million Francs. Cash on hand for Relief Purposes on July 1, 1917, Fcs. 1,091,370.80, together with subsequent Donations, Fcs. 239,903.27, was disbursed strictly in accordance with stipulations of Donors under direction of members of the American Relief Clearing House. Total cost of operating the American Relief Clearing House, Paris, was 1.02 per cent of all transactions in Cash and Material. From March 1st. 1915 to December 21st. 1918. Miscellaneous Contributions to Albania, Galicia, Holland, Korea and Syria. We have audited the accounts of The War Relief Clearing House from March 1, 1915 to December 21, 1918, and certify that the above statement is correctly prepared from the books. All cash received, as shown by the records, has been accounted for and proper vouchers have been produced for all disbursements. The total cost of operating the New York Clearing House was 1.15 per cent of all transactions in cash and material. 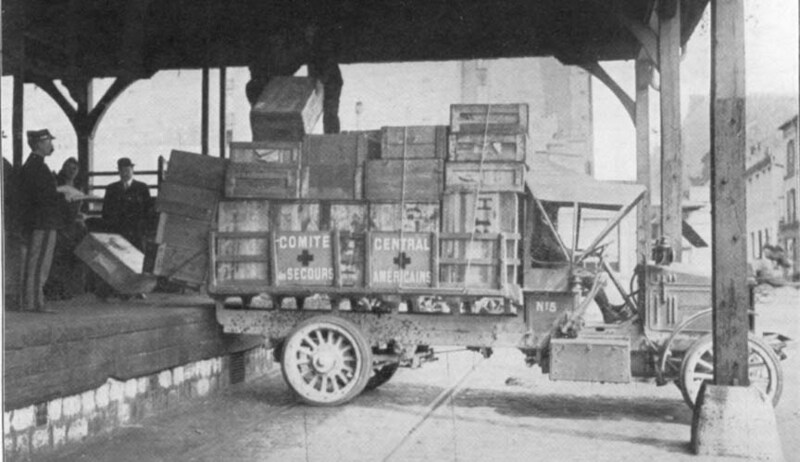 All shipping was turned over to the American Red Cross, Sept 1st, 1917.